I would’ve sworn that I posted this recipe back in the fall, but I can find no evidence that I actually did so. That means I owe you an apology, because I’ve been depriving you of these delicious little bites of melty chocolatey goodness, probably for months. 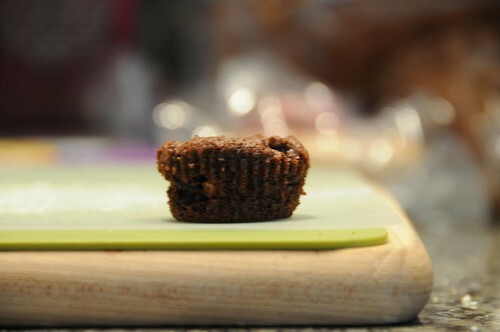 These little guys bake up as quickly as cookies, but have the whole mini-cupcake cute factor on their side when it comes to convincing people to pick them up. And once you pick one up, they speak for themselves. The espresso flavor is not pronounced: as is often the case, it comes through as depth and a touch of bitterness that balance the chocolate rather than a distinct taste of its own. 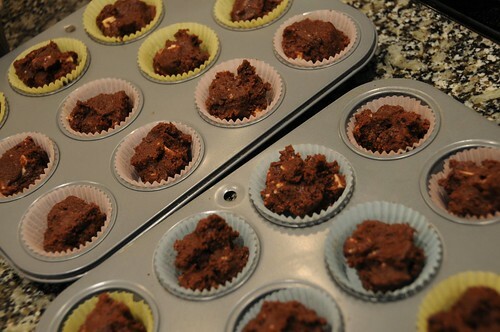 Preheat oven to 350 F. Grease or line a mini-muffin tin. Cream the butter and sugars until well-mixed, then add the espresso powder, egg, and vanilla. Mix in the flour, cocoa powder, baking powder, baking soda, and salt. (Sift any of these ingredients that have big lumps.) Then add the chocolate chips. 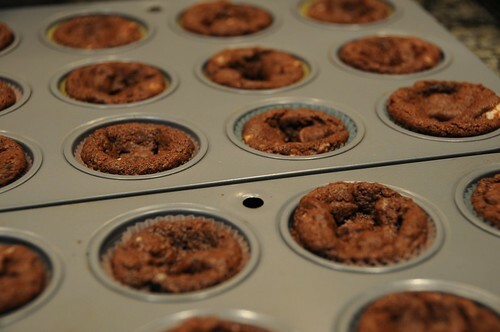 Dollop into the mini-muffin pan and bake for about ten minutes, until the tops no longer appear wet. Remove from the oven. If you’re using liners, you can turn them out of the pan after about ten minutes; if not, give them a few more minutes so they don’t disintegrate on the rack. Oh. Em. Gee. Saved for later.